I wish you and yours a very happy and safe New Year celebration. Thank you for being such a wonderful part of Flooring The Consumer. I appreciate your comments, emails and encouragements and realize that I couldn't do this and have as much fun without you. Many thanks and may you have a marvelously inspiring, flooring and customer focused New Year 2010! P.S. : I also extend to you my Happy Holidays! 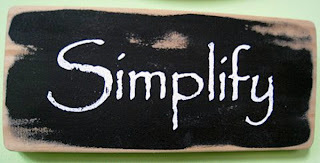 from the Chief Simplifier with my wishes for you to Simplify!, Recharge!, Refocus! and also Enjoy! Party Time originally uploaded by disneychick. In June 2009, I wrote about LMNOP: An A&D Networking Community. Six months later, the organization has progressed impressively because of the passion and dedication of its volunteer management. Here I share with you an update from Ellen Roman, LMNOP CEU Manager. 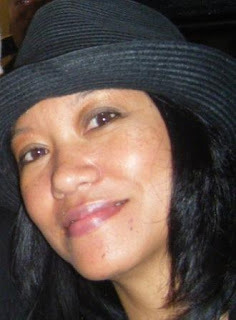 She is also a friend and former Ultron carpet fiber representative, based in NYC, LMNOP's home base. 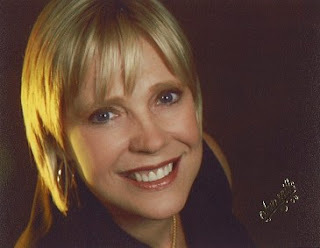 Ellen has extensive experience in the NYC architectural and interior design industry. 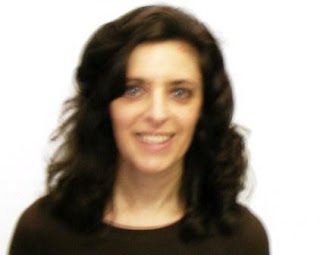 Passionate about learning and sharing information about new products, applications, and technologies, she has shaped an impressive learning curriculum via her role as LMNOP CEU Manager. CB: Ellen, how did you get started in your role as LMNOP CEU Manager? From relatively at the formation, I was asked to be the Continuing Education Units (CEU) Manager for LMNOP (Leadership, Mentoring, Networking Opportunity for A&D Professionals). CB: What kind of programs have you created for LMNOP? The first program is called “Lunch & Learns,” a term commonly used throughout the industry. We established this program by approaching design firms and arranging for our members to have the opportunity to matriculate into scheduled CEU courses provided by manufacturers. This program furnishes numerous opportunities for members to maintain accreditation, visit design firms, network, and gain valuable exposure to differing workplace environments and cultures. It also offers insight into design firms that individuals would perhaps be interested in marketing their professional skills to. Examples include courses on Stainless Steel Finishes in Interior & Exterior Design by Rimex, on Architectual Precast Concrete from Saramac, Delivering on the Promise of LED Lighting by Amerlux Lighting, Specifying Architectural Hardware from Assa Abloy, Architectural Flush Doors & Stile and Rail Doors from Architectural Woodwork, Inc., and a course from Schott Glass. We also offer events specifically for our members. This second CEU program is held in manufacturer showrooms, and is exclusively for LMNOP members. It addresses special topics of interest and creates an intimate networking opportunity among industry colleagues and reps.
At Steelcase, Inc., we held a course titled "Workshop Observation." The presenter was Peyton Larkin, a Workplace Consultant. At Benjamin Moore, we offered "EU Course: Creating Healthy Living Environments with New Paint" with Bob Upton, Architectural & Designer Representative, as the speaker. CB: What else are you working on? I am also currently researching how the LMNOP Workshops can be incorporated into CEU accredited courses. I am always researching CEU courses that discuss innovative and cutting edge design and topics, especially in regard to green and sustainability. In addition, I am constantly researching courses in various disciplines within the industry for members to participate, especially for those that express the need or interest to redirect their professional career in another market sector, especially in response to today’s market trends. CB: It sounds like you are having the time of your life! I am really passionate about the program, as it challenges me in a new area within the industry. It offers me the opportunity to network with other reps, learn about ongoing CEU programs offered, acquire knowledge about new product offerings, and further exchange industry information. Overall, the opportunity as CEU Manager is personally and professionally fulfilling. I can contribute to the needs of members, provide members with courses that can contribute to their professional development, and build on the focus of the organization. CB: This is really exciting to witness LMNOP develop and offer such value to the A&D community! Design firms and manufacturers have been highly supportive of the program, and so considerate of our members. CB: I'm not surprised! Any last thoughts? Please also visit the LMNOP website at www.lmnopnyc.org. Comments, questions, suggestions and ideas for Ellen? For those of you not in the NYC area, do you have access to programs to share knowledge? 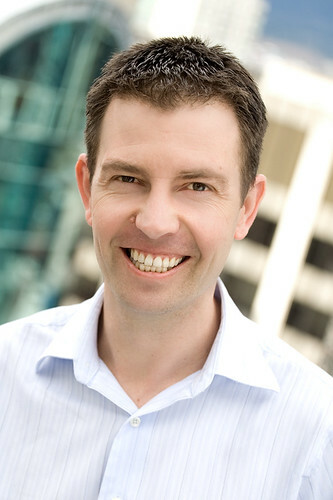 Are you familiar with BuildDirect and BuildDirect President & CEO Jeff Booth? He and co-founder Rob Banks, launched BuildDirect in 1999, building it into "the world's leading online manufacturer-wholesaler of flooring & building materials." Not only have they satisfied customers in Canada, but also in every state in the U.S. plus over 60 countries around the globe. How? With a different flooring business model and a strong commitment to customer service, transparency, authenticity and integrity. You'll notice BuildDirect prominently featured in the Social Flooring Index. They actively participate in social media marketing tools with Twitter, Facebook and blogs and have integrated the tools into their overall business. In other words, they are Flooring It Differently with social media! Jeff Booth, BuildDirect President & CEO, shares his insights in the following interview. C.B. : Jeff, tell me about yourself and your company, BuildDirect. BuildDirect is an online building materials firm, founded in 1999 by myself and my friend and business partner Rob Banks. We’re both interested in how technology impacts business, so we looked at the Internet as the best way to make the traditional international building materials supply chain more efficient, since the Internet is international by its very nature. Coupled with traditional business values of good communications and customer service, we’ve achieved a good balance between efficiency, and customer relationship management. We’re always looking to make deeper connections with customers, to identify what their needs are and how we as a company can meet them. Early on, we incorporated unedited customer product reviews on our site, and began developing a blogging presence, too. It seemed to me at the time that we as a company needed to do more to connect with site visitors, and with our peers in the construction industry. And in closely following how Barack Obama connected with the American people directly while using social media platforms during his Presidential campaign last year, I was inspired to follow in the spirit of that. I did so by approaching social media as a means of connecting with and learning from other people, and responding authentically. My team and I started to build a vision of success in social media based on that kind direct interaction. After that, we started a Twitter account for the company; I started my own Twitter account, and we expanded our social media presence on Facebook, on YouTube, and in many other social arenas. The results have been encouraging, and we’ve made a lot of friends, and sales, that perhaps we wouldn’t have made otherwise. Two key precepts with social media are transparency and authenticity. It’s about adding value, and providing practical information to an audience with these precepts at the forefront. Since many of these principles have been a part of our core values as a company since we started, getting involved in developing a social media presence along these same lines just seemed to make sense to me, and to many of our staff, too. And another aspect has been that old idea of ‘word of mouth’, which had served us very well before many of these social media platforms came along. But, with Twitter and Facebook, for instance, the potential word of mouth equity is increased exponentially. And where we do use social media as a means of directly promoting products, we also use it as a way of forming community with our peers. This also includes some of our competitors, some of whom also do great work in providing practical value. To the customer’s benefit, it makes sense for us to get involved in that, in sharing information even if it doesn’t come from us. Many people then begin to know who we are and what we’re about on a level that wasn’t possible before. So, when it comes time to talk about buying floors from us, it’s just a natural progression that comes out of a growing relationship with them, based on how helpful we’ve been in the past without expecting a sale. Quality flooring represents a range of products that I believe adds value to the lives of pretty much everyone. In this, developing a way of getting the best of it to customers for less money is very rewarding. Getting that feedback from customers who tell us about how pleased they are with their orders, both in terms of the high quality and the lower price is a definite signpost that we’re doing good work. I suppose the thing about it which is the most challenging is changing people’s perceptions about quality against price. Because there are so many factors that affect product quality across multiple product lines, it has been historically difficult for customers to get a real apples-to-apples comparison industry-wide. When customers see a ticket price, there are often a lot of hidden factors there that affect it which is kept from them, in many cases. And this can lead to rash purchases that cost them later on. The real challenge for us is to bring our customers and buyers in general into a place where they’re getting a true picture of how flooring and other building materials should be compared before a purchase is made. This is another arena where transparency is so important. In some ways, making the sale is much like conducting oneself in social media; it should be an honest dialogue about what is the best way for customers to make an investment in their flooring project that saves them money in the short term, but also leads to a good return on their investment in the long term. I think vendors who really know their stuff, and who are interested in taking the time to educate their customers when needed are the real superstars in our industry. Flooring is a long-term purchase. Making sure that the customer has all of the facts, and in turn increasing the chances that the customer is going to be happy with their purchases for years to come, is the best way of proving credibility for those vendors. By extension, it proves credibility for the industry too. Our purpose as a company is to transform our industry, by making the products more accessible, more affordable, and with a higher standard of quality across the board. The best way to do that is direct engagement with partners and peers, with influencers in the media, and with customers and industry professionals. Social media in this respect is invaluable. It helps us to focus our purpose on creating community, dialogue, and learning opportunities in order to bring about a vision for ourselves and our industry that we set in place since we began the company. This is the kind of potential that excites me the most about the possibilities that social media platforms present. I suppose the drawback to social media is that everyone is invited to the party, some of whom aren’t as transparent as others. Information and motives therefore must always be questioned. Yet, at the same time this is true of traditional media too, although without the chance to talk back. It’s a question of discernment. Exercising that skill is pretty important anyway, and there are many opportunities to do so in social media spaces. Many are, yes. Some aren’t. The real value in social media comes out of honesty and personal passion. It’s always best when people embrace social media in their own time. In our case, involvement has definitely risen over the last year, with some really getting into it, while others are just dipping their toes in the water. Both approaches are valid, as long as what is put out there remains true to personal and company values. Luckily, everyone involved understands that pretty well. In some ways, the channels are really secondary to the approach. Managing them is a question of providing useful information and by engaging with others on a daily basis. A part of social media is about telling the story of our company, about how we’re getting better everyday, and about how our interactions with others affects how that story goes. And it’s about being prepared to transparently deal with situations when we don’t do a good job, or when people get upset even when we’ve done our best. In this respect, staying true to our core values of respect for others is the key tool in managing our presence online, regardless of which channel it happens to be. I have lots of advice! 1. Be prepared to listen more than talk. After you’ve finished listening, always add value in some way – be helpful. 2. Ask questions of the experts, once you’ve used your powers of discernment to find out who those experts are (there are a lot of would-be ‘gurus’ out there). 3. Start a social media presence because you want to build relationships, not sell to customers. The relationships you foster today may result in the customers you sell to tomorrow, but it rarely works the other way around in a social media space. 4. Find out who in your organization is passionate about social media, and empower them to get involved without trying to control every little aspect of how they do it. 5. Take risks; show yourself as a person or group of people, not as a brand. Relinquish control over your brand so that your customers have a voice in determining what your brand means based on how you interact with them. 6. And above all – KEEP IT UP! Social media is a slow road to success, with no silver bullets that you can design or expect. Just stick to your ethics, your values, and to those things which are true to your personality, including passions and interests that may have nothing to do with what you’re trying to sell. Your audience will decide how successful you’ll be based on these factors, not you. That’s the scary part, and the rewarding part at the same time. How would you apply these insights to your flooring business? Brick-and-Mortar vs. Web: Which Retail Experience Wins Out? "Brick-and-mortar retail stores selling everything from clothing to high-ticket items like flat-screen TVs will turn into warehouses where consumers can touch and feel the merchandise. Web sites, supported by search engines and site search, will become the cash cow for the retail store." Rather extreme, wouldn't you say? At the same time, it isn't when you consider the various forces at work which the current economic environment has only precipitated. Customers, now more than ever, seek value in-store and online. On the web they find credible information and the ultimate in convenience. Customers can and will compare prices and evaluate products online. They expect the same level of transparency in-store. And, if you as a retailer cannot justify the value you offer customers, you can count on customers to make their purchase decision based entirely on price. Otherwise, customers feel stupid and taken advantage of, a sure way to lose customers for life. So, what is a brick-and-mortar retailer to do? Have you identified what value you offer customers? Do you ignore the online dynamics and expect them to fade away? Or, do you have a strategy to deal with them? Kim Gavin, from Floor Covering Weekly, in her editorial titled "I feel guilty, but I saved money" from October 19/26, 2009 describes this very scenario. She asks about strategy and whether retailers are ready to demonstrate and explain the value they offer. eNewsletters From Simple Marketing Now! I have two eNewsletters to tell you about, both from Simple Marketing Now [aka me]. The second went out yesterday and represents the inaugural copy of my Flooring eNewsletter. I share it with you here. This is always an interesting time of year with so much happening as it relates to Flooring. • It’s the consumer’s Holiday-buying home stretch – which gives us a read on her shopping mood. • Many flooring retail buying groups have conventions in the works, allowing members to compare notes about the state of flooring retail. • And, then, from a flooring product perspective, we have manufacturer regional and national shows, and – of course! – Surfaces in the U.S. and DOMOTEX in Germany. Given this time of analysis, anticipation and consideration of possibilities ahead, what do you consider the most valuable flooring inspiration? Catalina Research’s Stuart Hirschhorn predicts that the residential replacement market will strengthen in the second half of 2010. What’s your take on that? What About The Consumer of The Future? How different do you think her attitude will be about shopping, and shopping for flooring products more specifically? What about your customer relationships? Are you rethinking the relationships you establish with customers and the experience you offer them? How might you translate the new retail experience benchmark – Apple – to your flooring retail experience? And informal ones, too. Just let me know when is convenient for you! 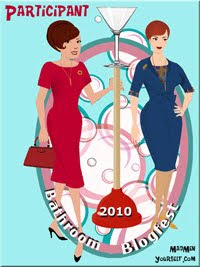 I look forward to seeing you at Surfaces 2010. 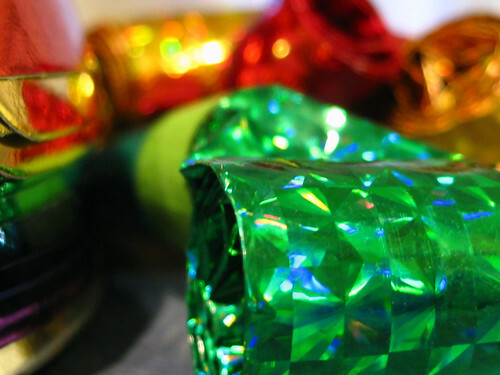 In the meantime, I wish you Happy Holidays and amazing productivity in all of your endeavors. And I welcome your feedback on some of the questions above and suggestions on other sources of inspiration. What would woman centric retail look like? 3. Redesigning floor plans to be more relevant to women's multi-tasked lives. Check out the woman centric videos and the woman centric home building blog, too. All common sense approaches especially if you're in touch with your customers, listening to them, asking questions, observing trends and responding to their suggestions... which I know you're doing, right? So, how would you apply Woman Centric Home Building to create a Woman Centric Retail Experience? 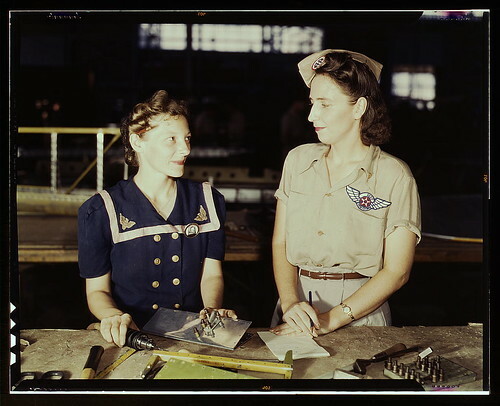 Pearl Harbor widows have gone into war work to carry on the fight with a personal vengeance, Corpus Christi, Texas. 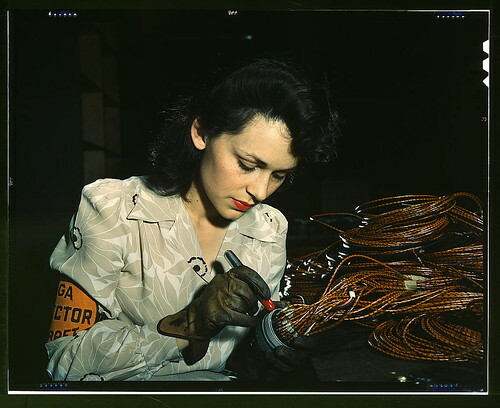 Originally uploaded by The Library of Congress. How does the Apple - aka the New Nordstrom - retail experience affect your store? If the Apple Store redefines the retail experience to such an extent that it has become the new Nordstrom, what does that mean for your store? Here's my starting point: an article titled "Apple is no longer the Nordstrom of Tech , they're the New Nordstrom." It makes several interesting observations about the Apple consumer retail experience. 1. Apple stores are less about retail stores and more about community gathering place for those Apple-interested customers. 2. Apple stores and devices enable activities that people pursue: music, web-browsing, etc. 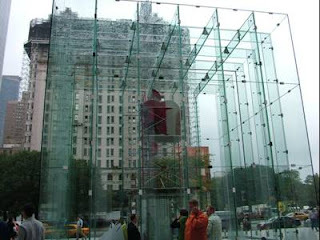 And Apple has simplified many of those activities through both the retail store experience and the products. 3. Apple's customer service and retail experience have turned Apple customers into passionate fans who rave about their experiences. Given Apple's success in selling products as means to experiences [and doing so via a memorable experience] for a wide range of consumers - not just Boomers [definitely read through Sell Experiences Not Products which, although about Boomers, applies to any selling situation. Note the reference to taking the time to listen to customers and not rush into pushing products before understanding what they want. ], how would you translate that into equally successful retail experience models for other product categories? Relevant to any immersed in the flooring and flooring covering marketplace! Yes, that may mean you! 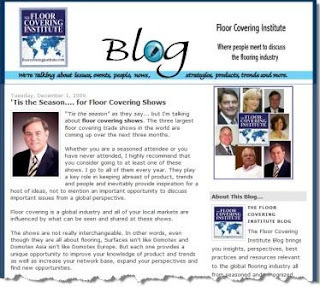 This past September 2009, as a result of my affiliation with the Floor Covering Institute, I helped launch the Floor Covering Institute Blog. What I've found fascinating is the range of perspectives on one industry that having a group blog such as this brings. Stuart looks at the trends and patterns that his research on the floor covering industry uncovers. Lew is known as a flooring product trouble-shooter. Chris' name is synonymous with the luxury market. David knows hard surfaces. Jim and Carl bring international perspective and cachet. Susan, among many other responsibilities, is my partner in blog-crime! I'd love it if you would check it out, perhaps even subscribe. If you think of topics worth addressing either leave a comment on the Floor Covering Institute Blog, or let me know here. And, regardless, what do you think? Do you like it? Welcome back from Thanksgiving! I hope, for those of you in the U.S., you spent a lovely long holiday weekend with friends and family. During the month of November, I had big news and two interviews, a client case study, notes from two fascinating presentations I attended and social media marketing recommendations. I have finished updating the Social Flooring Index which you may remember reading about back in July when I published the Beta version on Flooring The Consumer. 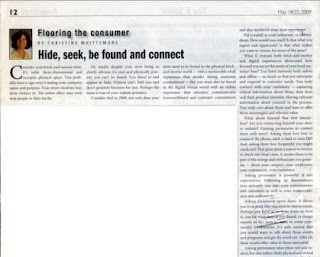 The index continues to evolve and includes many great flooring social media examples. Here is the Press Release: Social Flooring Index From Simple Marketing Now for more details. I alluded to this interview last month. I had a blast with Paul Chaney and John Munsell from Bizzuka on User Friendly Thinking Radio interview. You can read more about it on Whittemore On Bizzuka's User Friendly Thinking With Munsell and Chaney. Finally, I had a chance to talk with Becky Carroll and include details and a link on Whittemore On Customers Rock! Radio. One of the top performing blogs on the Social Flooring Blog Index is the Carpet and Rug Institute Blog [yes, my client] which reached the six month mark in October 2009. I celebrated the occasion by writing up The Carpet and Rug Institute Blog: 6 Month Case Study. I mentioned Becky Carroll above. She and two other colleagues were part of a panel discussion on how Big Brands Engage Customers In Conversation: MarketingProfs Digital Marketing Mixer. Earlier this month, I attended Sigma's Food For Thought event in Morris County, NJ. The keynote speaker was John Battelle who discussed The Conversation Economy. I published another segment in my 'How Do I?' series: How Do I Start With Social Media? Finally, What Questions Do You Ask About Customers? particularly as it relates to the experience your website offers them? Thank you for reading. If you have any questions, please do let me know.